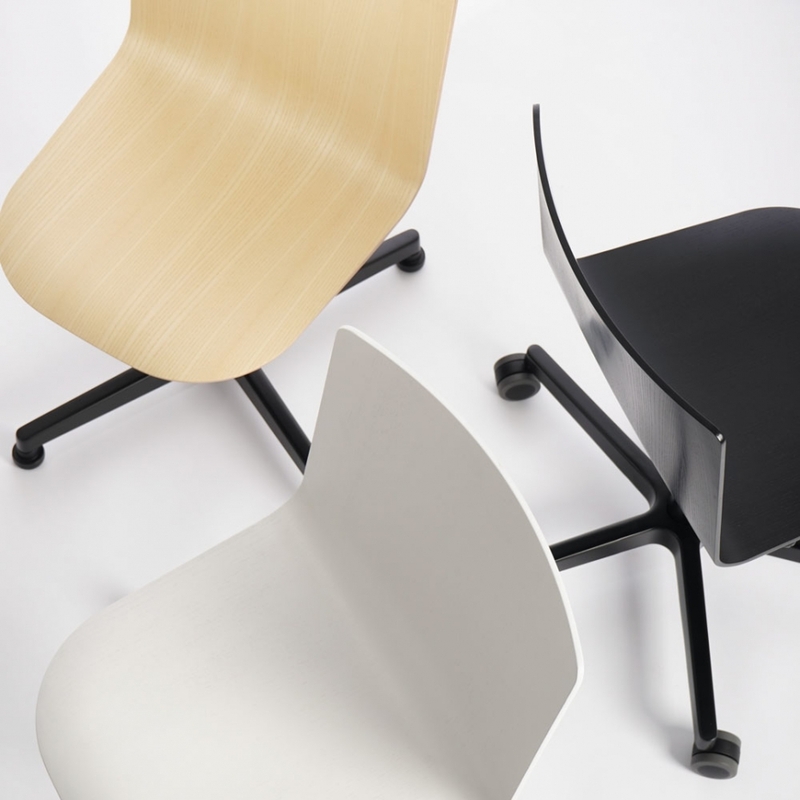 440.00 € 19% VAT incl. 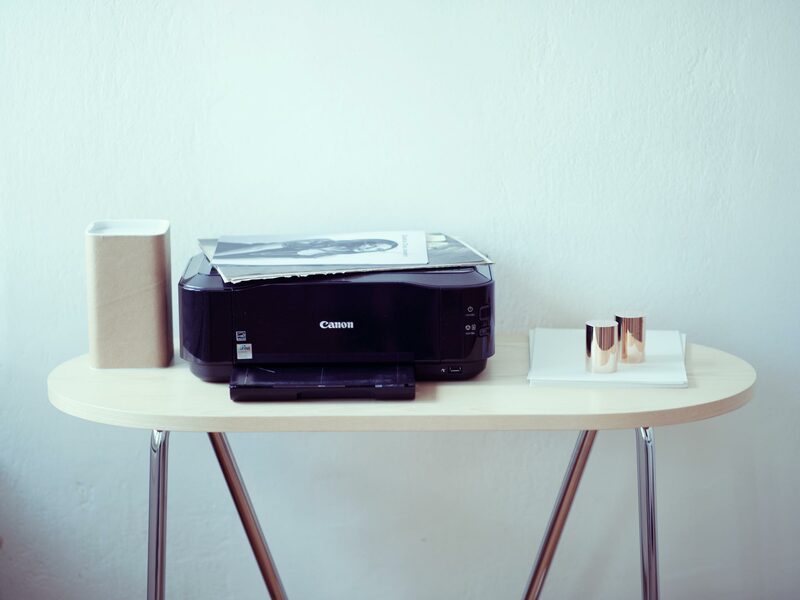 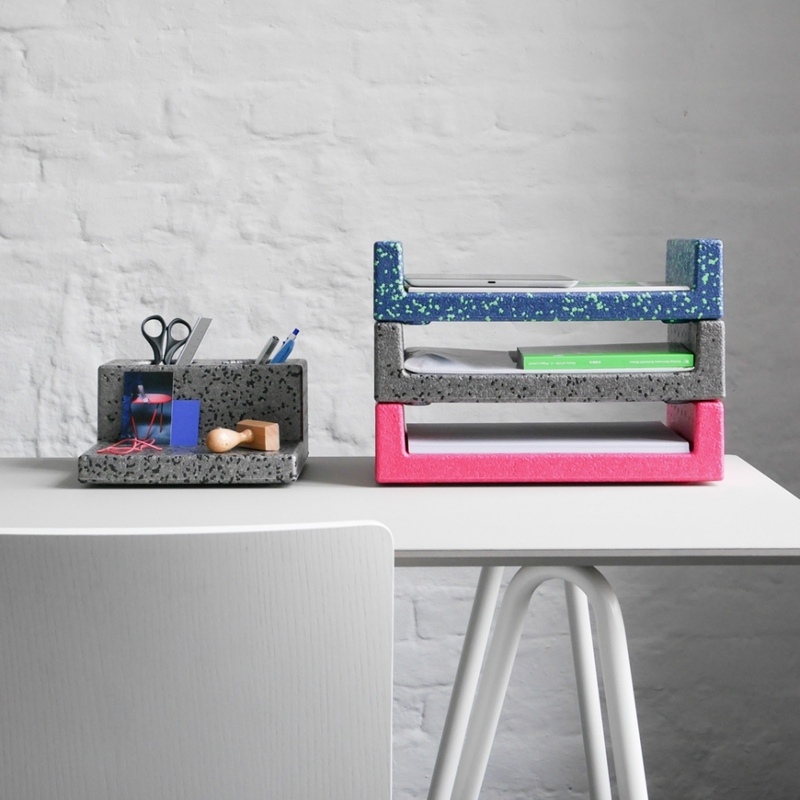 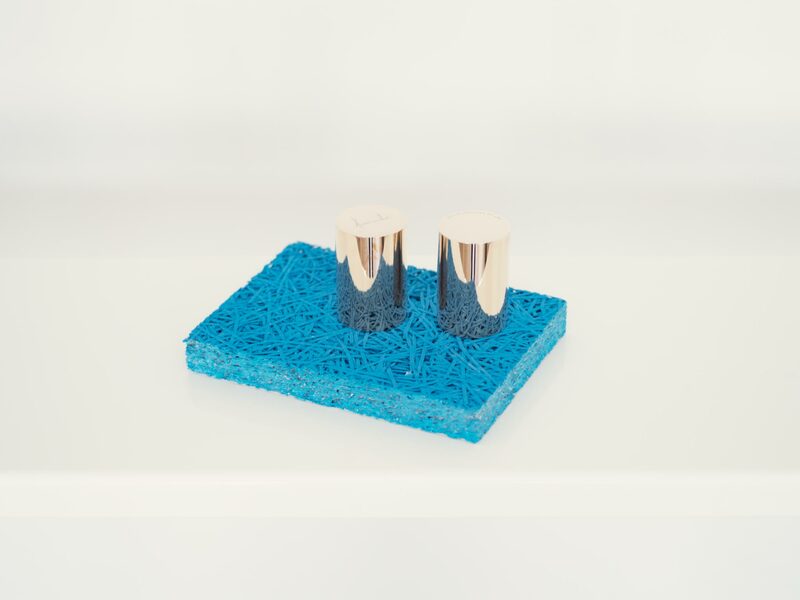 The Paperweights by Bettina Komenda serve as universal objects for paper, books, doors or atmosphere. 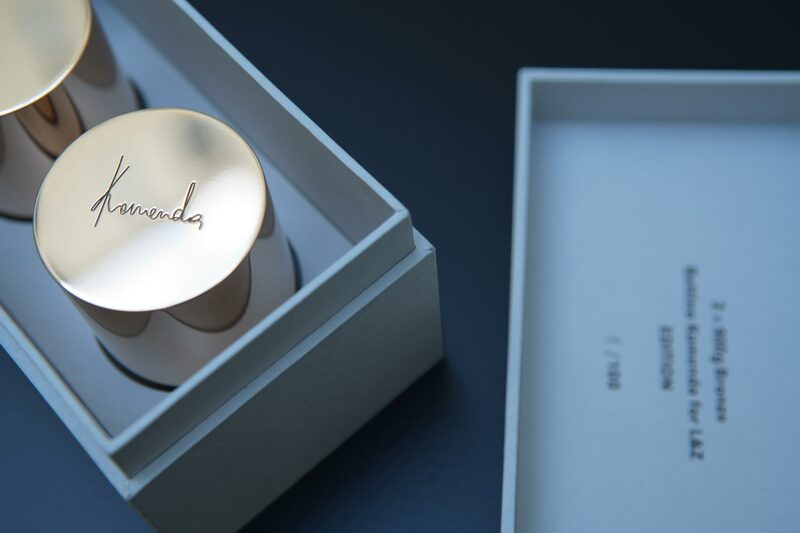 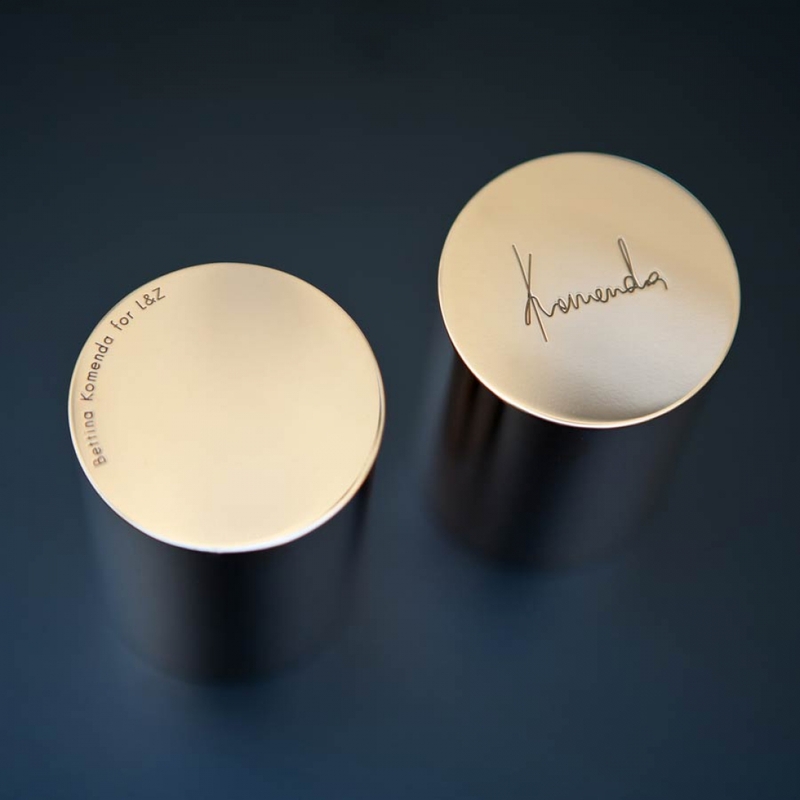 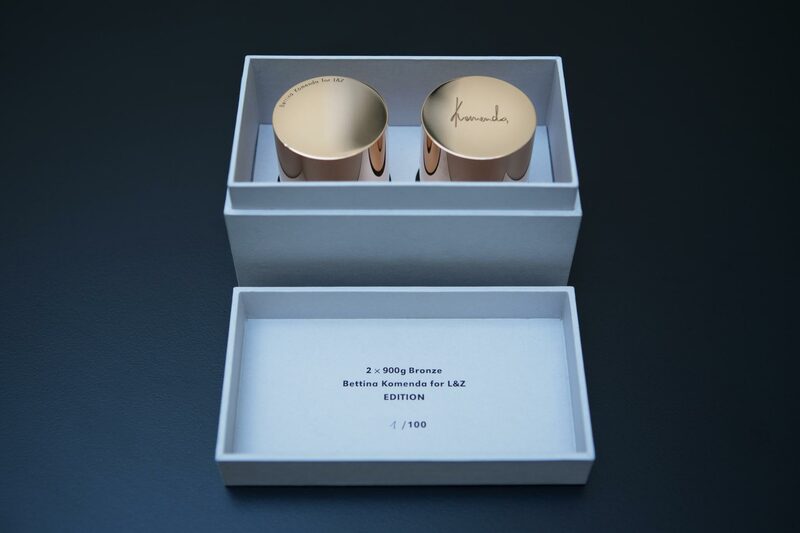 The 2 × 900g bronze cylinders are engraved and mirror-finished in a limited edition of 100.